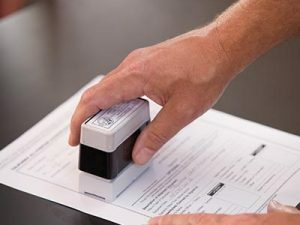 In the United States, citizens have to produce various documents for various purposes, such as identification and when applying for various services such as school and government support. Others have to provide various documents with the sole aim of proving their citizenship before they can be allowed to access Medicare and Medicaid. However, most of these documents are confusing, and some of the terms used are not common to all. This article will specifically focus on notarization and certification of various documents, while at the same time, giving deeper details so that people can understand with ease. A notarized document is a document whose signature and the identity of the signing party has been witnessed and verified by a notary. For example, an individual signing a particular document to prove the ownership of a particular property must be witnessed by a notary. This document or text is commonly referred to as a notarized document. For it to qualify as a notarized document, it must bear the stamp and the signature of the notary as proof of notarization. Most of the original documents that individuals have at home don’t qualify as notary documents because they do not bear the signature of the notary and they do not have the stamp. Therefore, if you want to notarize your documents, you can get a mobile notary near you which will help you in solving legal battles that are likely to arise in the future. If you are traveling to a different country around the world, you should make your documents notarized because foreign governments require your document to be notarized. For example, you should have notarized copies when you are processing a visa, passport, and application of other legal documents that prove your identity. On the other hand, certified documents are only requested from the custodian on important occasions. Some of the commonly certified documents that you might have include death certificates, divorce decrees, marriage certificate, and birth certificate among others. There is a misconception that individuals hold original documents. This is not true as most of the documents that you hold are certified a copy of the original document. A considerable number of people have a misconception that a notarized document is legally binding. This not true. A notarization is just an act of indicating that a third party was involved when the documents were being certified. Therefore, notarizing a document does not make it legal but may add some influence in case of legal proceedings. Documents that have been signed by an attorney tend to have more weight than those signed by other individuals. According to the National Notary Association, notarizing a document is not a legal provision. You can easily get your documents notarized in various places in the United States. However, you should make sure that any person who is notarizing your document is a certified professional and has all the necessary licenses. One of the most preferred places to get your document notarized is a bank. Banks offer notarization on a free basis. You can also notarize your document in an attorney’s office, but they will require you to pay some money. What Documents Can You Notarize? A considerable number of people only think that there are a few documents that one can notarize. Some think of financial documents as the only notarized documents. However, there are multiple documents that you can notarize, some of which have been highlighted below. Use an official notary to get your documents done in the correct, professional way.